Why would Klipsch not figure out a cure for these issues? There are a ton of manufacturers that use aluminum, copper or alloy woofers that never have disfigurement issues like the Klipsch do. For the most part I understand that the cosmetic defects do not attribute directly to poor sound but my goodness, looking at listings on Audiogon, Ebay, US Audio Mart....you name it. It is very rare to see these speakers without significant damage to the woofers. I have never pushed my speakers to the point that they distort yet there are a few tiny dings in the woofers that make zero sense to me. I am sure if Klipsch invested a little time to come up with an answer and distribute a different alloy mix into the woofers there would be way less problems with the end result. I mean I am a huge fan of the Heritage series and I would take any of them hands down over the Reference lines. Good old paper cones, poly cones and what have you very rarely distort even when pushed past their limits. Even the older SB and KSB series speakers dig deeper in the bass than the reference speakers do and keep their shape intact doing it. After ten plus years, did no one think of re-configuring the new copper woofers? It seems they did get away from the early 8 inch used in the rf-3. Any denting in the around 2005? period, after I have not seen. Brand recognition may be to blame. 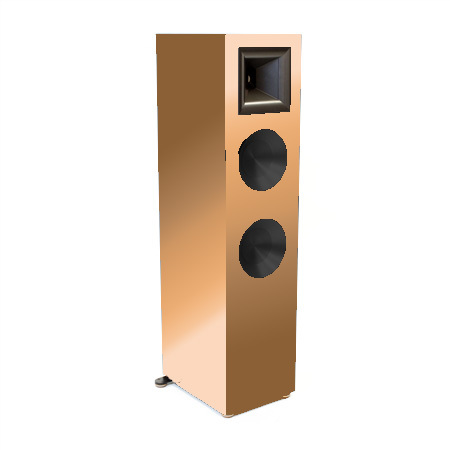 Klipsch's team colors seem to be black and copper. There is nothing wrong with that, but maybe there is a way they can use alloys or even polymers which are less likely to retain dings. How about they make the enclosures out of copper and the cones out of carbon fiber. The new Reference series (not the premiere) are just painted/tinted poly cones. But they are the replacements for the synergy so lower end. Are you saying the dents came from playing the speakers and not someone/something touching them? I still like my idea though! Exactly. 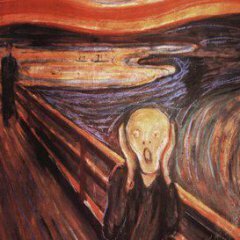 I have three little pin prick dents in one woofer even though the speakers have sat on a shelf and out of reach of anyone's tiny fingers.....or paws. For the most part the reference series seem to get the weird dents and dings just from playing music. I have never pushed them past low listening levels since they are in my bedroom system. I just don't know of any other speakers that the woofers distort, ding, dent or whatever. It is very rare to see these speakers without significant damage to the woofers. I have to strongly disagree with this. 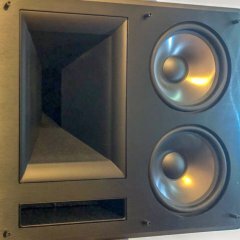 I've purchased well over 20 pairs of used Reference speakers in the last three years and have only come across ONE pair of RF-3s with significant damage. I didn't buy them. And of all the speakers I did purchase, only one woofer on my third pair of RF-35s had a minor crease near the edge. But to say that it's rare to see them without damage is silly. Seems to me, in the CO market anyway, damaged woofers comprise maybe 1% of Reference gear out here. Well, for as many used sets as I see on the "for sale" sites, I rarely see them without cosmetic flaws. I guess since I don't know how they were used or abused it could all account back to misuse or neglect. I just don't see these issues on any other series of speaker. Sure dings and scratches on cabinets are frequent problems, but not on the cones themselves. They are vulnerable to dents from things pressing on them or hitting them because they don't have grille cloths. I have a hard time believing they are getting dented just by being played. Agreed! I pumped a pair of RF-7's with 250 wpc on a regular basis for long periods of time. No such issues and I pounded those babies HARD. Now if you were to throw a quarter at one of the copper drivers, it IS going to dent. Reference gear gets dented more because they look better without the grills. What does the color of the driver have to do with this? 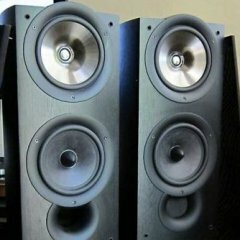 I have owned 20+ pairs of reference speakers and none of them ever developed dents/creases due to me playing them. Who said anything about color? It is what the woofers are made of that matters. The name of this thread is "Copper woofer issues", so technically, you did.. Here is the description from the Klipsch site in regards to the woofer material. "Spun Copper Cerametallic Cone Woofer"